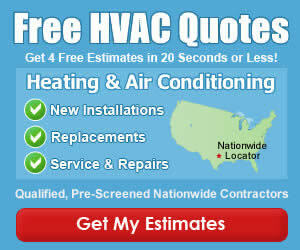 Spring Fever Hits Charlotte, HVAC Cooling System Tips! The timing of warm weather hitting the Charlotte area could not have been better. NASCAR teams are in Daytona kicking off the 2011 racing season and most local residents will be in their yard at some point this weekend, looking at the results of a long, cold, and snow filled winter! Before you reach for the thermostat and turn on your AC, there are a few simple steps you can take to avoid bigger problems. First, visually inspect around the outside unit to be sure no limbs, branches or debris are near the condensing unit. A small branch stuck in the range of the condenser fan can easily puncture the coil when it turns on. Aside from a visual inspection, this is when most companies are scheduling their spring tune-ups to check the things that most homeowners simply can’t do on their own. At B&E, we begin our Peak Performance Service rounds in early March and make sure we have all our Charlotte customers ready for the summer heat by the time it arrives in May. Visit our website or call us at 704-333-0363 to schedule your annual preventative maintenance service. Enjoy the beautiful 70+ degrees in Charlotte this weekend, and as you clean up the yard keep your outdoor hvac equipment in mind! Clean around it, never aim the discharge of your lawn mower at the unit, and hose down the condenser every now and again… a few minutes of time today could save thousands of dollars tomorrow! Do You have any Springtime HVAC Tips?